I have remarked on Twitter that watching Historical European Martial Arts and Oriental Martial Arts videos has made it more difficult to enjoy anime sword fights. Either the fight needs to be outlandish enough for me to completely suspend my disbelief–like the fights in Jubei-chan II–or bear a significant degree of realism–like those of Carried by the Wind: Tsukikage Ran. (No, I’m not going to spoil any of the fights for my dear readers. You must watch the show if you haven’t seen it!) 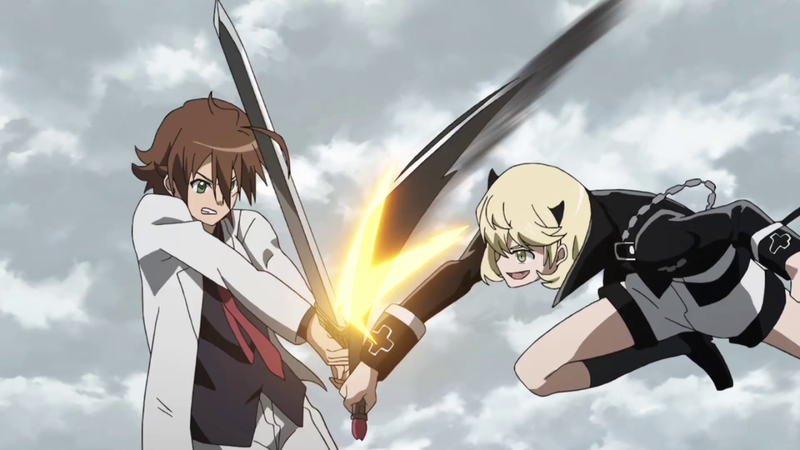 On the other hand, the eighth episode of Akame ga Kiru went to neither extreme, which left me cringing at their bad techniques and scientifically impossible feats. The bad techniques went far beyond General Liver and Bulat standing in place and exchanging lightning fast cuts and parries in a manner reminiscent of the later fights in DBZ. 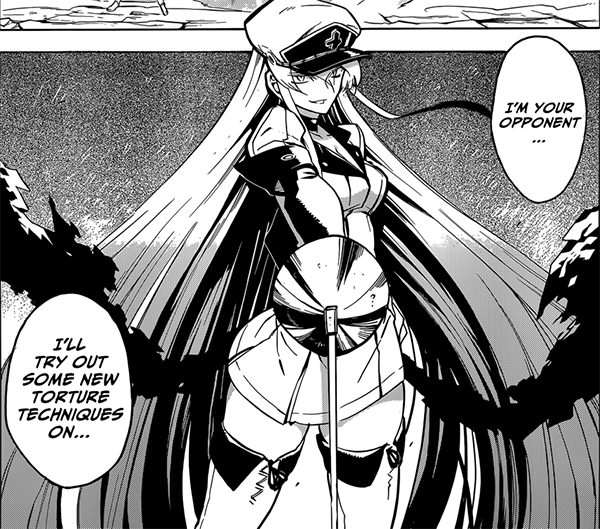 I know that Akame ga Kiru is fiction and that I should not expect moves out of the Codex Wallerstein–as awesome as that would be; but, bad swordplay will detract from anyone’s enjoyment of the fights. A friend of mind who cares nothing about HEMA even noticed that the fight was badly done! If you remember the fight, Bulat takes out the fighters behind him with kicks and bisects the opponent before him simultaneously. There are many problems with this nonsense: 1) One does not stay in the middle of multiple opponents, but attacks the closest one and attempts to tangle up his foes by out-positioning them (e.g. 4:40 into this video); 2) Two side kicks delivered simultaneously would have no power; 3) the bearded enemy to Bulat’s front, being closer, should have been struck down first no matter how you look at it. Tatsuki ogles at Bulat’s awesome technique, but I look at this scene as pure laziness by the animators. 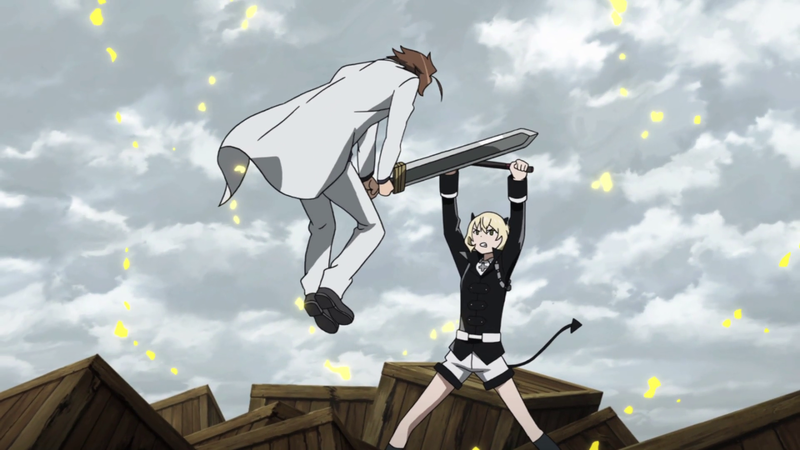 Remember how high Tatsumi jumped to deliver this strike? 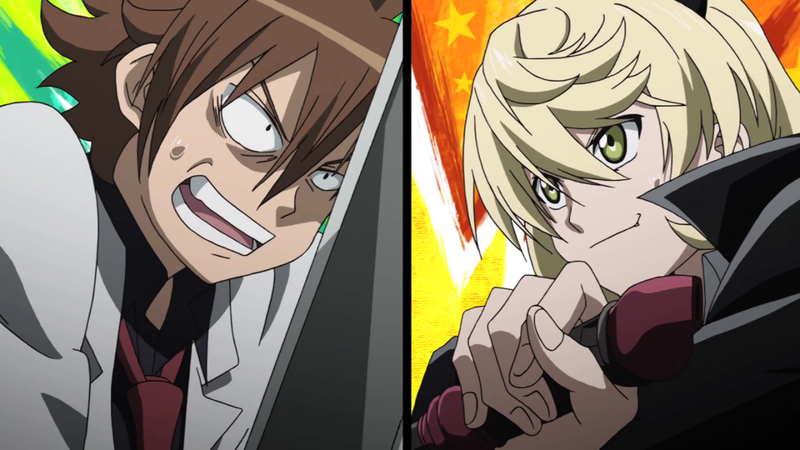 Akame ga Kiru loves showing these ridiculously high jumping attacks, but they should all be epic failures. Remember when you caught fly balls in little league? Essentially, that’s how devil kid should have approached this situation and taken Tatsumi out with a strike to his back. Who in their right mind would block a strike that started a hundred feet high? Also, Tatsumi misses his first chance at slicing off devil kid’s fingers. 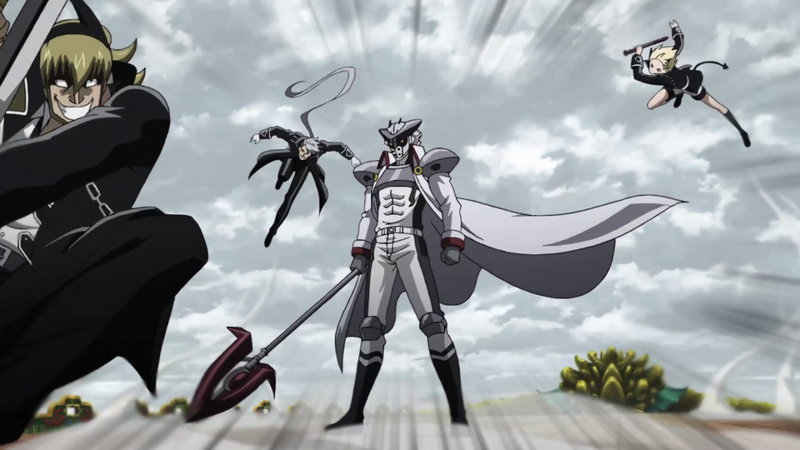 If you watched the footage carefully, you’ll notice that Tatsumi blocked well ahead of the strike, and the devil kid obligingly attacks his sword. Why? 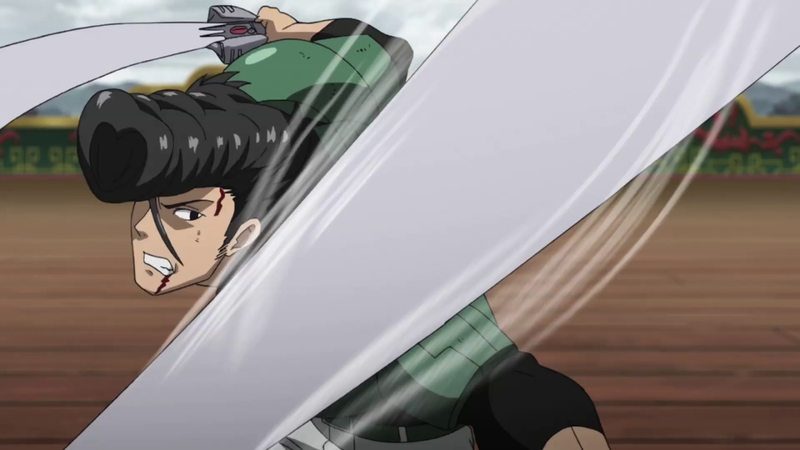 Tatsumi’s arms are actually ahead of his weapon and a much easier target!!! This was just wrong, I tell you! …he neglects the obvious counter-cut and the fight continues. Nevermind, this is a terrible parry. See how far Tatsumi needs to extend his arms? They’re even locked, which is a huge error! How much easier to simply draw back a little, let the strike pass, and deliver a solid cut in the opening left by devil kid’s attack? If Tatsumi was competent, that awed expression would be the last one on that villain’s face. Lindybeige has an excellent video on this very common position which we see in movies and TV shows. There’s an additional point to make here that the devil kid’s fingers have no protection whatsoever. 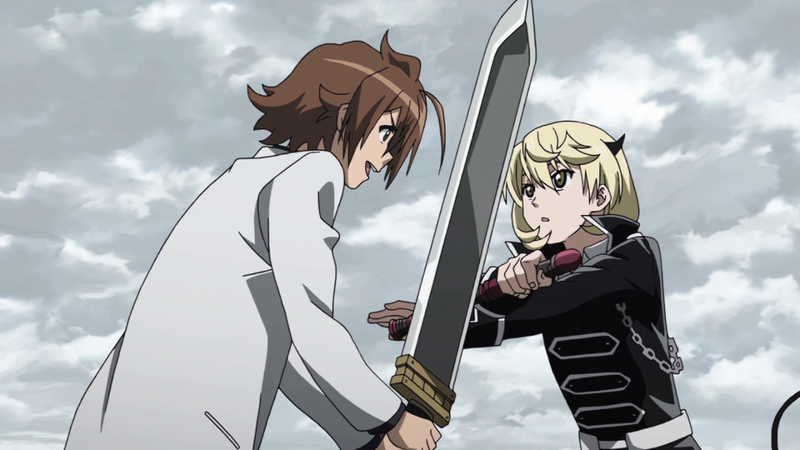 Tatsumi could easily slice them off! Then, let me reiterate two more points Lindybeige makes: 1) This is a very bad and unnecessary position to be in–whoever moves first wins; and 2) Tatsumi should have half-sworded into his foe’s neck. Yes, you can grab a sharp sword with your bare hands–you really can! 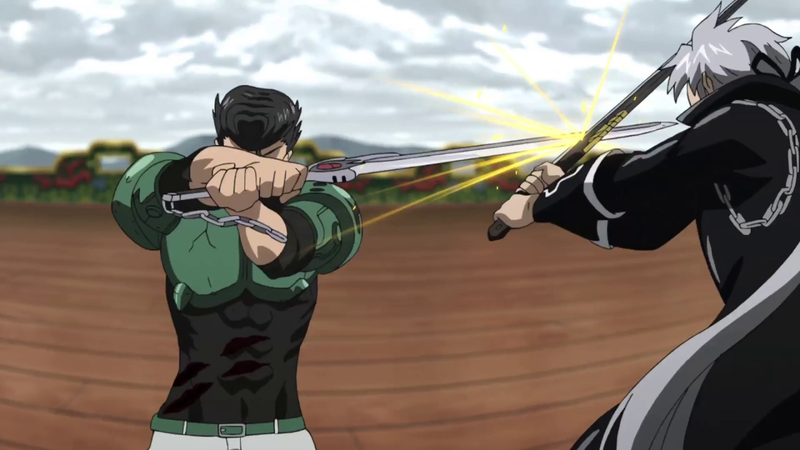 Neither of the fighters’ swords have proper hand guards. Bulat’s cut should have traveled down the blade and through Liver’s fingers. In the second, either opponent has that option. A guard of some kind, even a simple cross guard, must be part of a sword if one means to bind with it. Ancient swords had no guards because they were always used in conjunction with a shield. And no, it is not unchivalrous to cut your opponent’s fingers off! We see it in European manuals, and the world of Akame ga Kiru has no chivalric code to speak of! What the…? Send that sword back to the Kung Fu movie set where you found it, Bulat! That concludes the glaring defects I found in this battle. Did anyone like the fight? 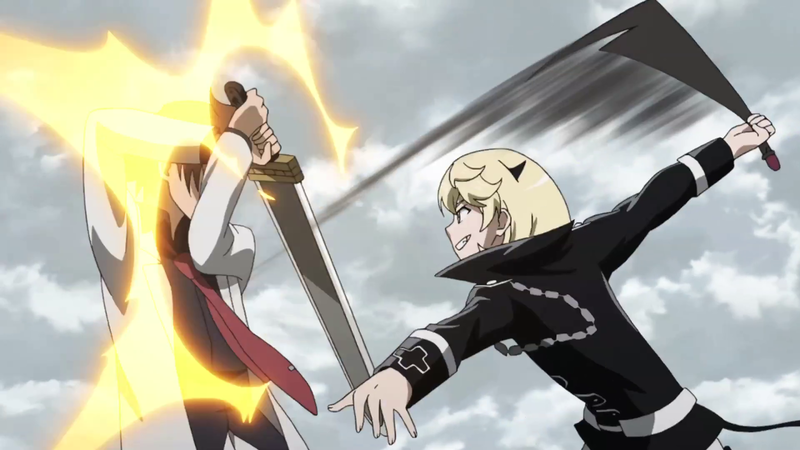 Sheele’s final battle in episode six is so far the best fight in the series. It followed my rule of being so outlandish as to suspend my disbelief. Terrifying words, but at least one character believes in having a proper guard on their weapon! 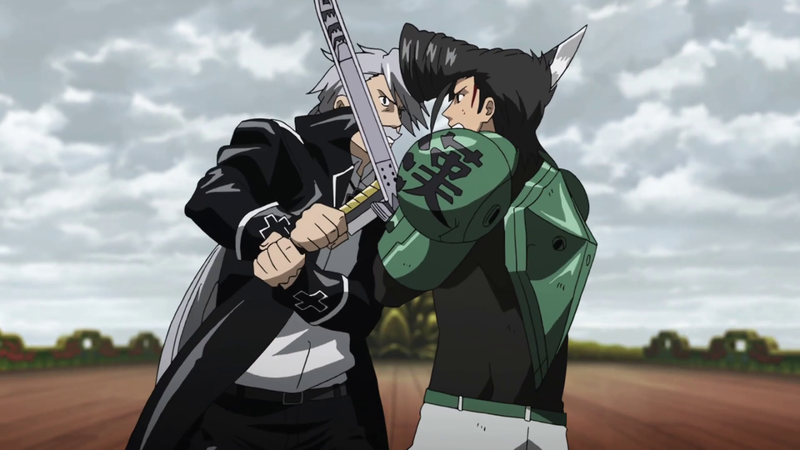 This entry was posted in Anime, Medieval Stuff and tagged Akame ga Kiru, anime sword fights, bad sword fights, Bulat, carrying the cross, Codex Wallerstein, crossing swords, devil kid, General Liver, hand guards, HEMA, Historical European Martial Arts, jumping attacks, Oriental Martial Arts, Sheele, slicing off fingers, suspending disbelief, swordplay, Tatsumi. How is Jubei Chan 2?